Take your essentials with you when you’re on the move. 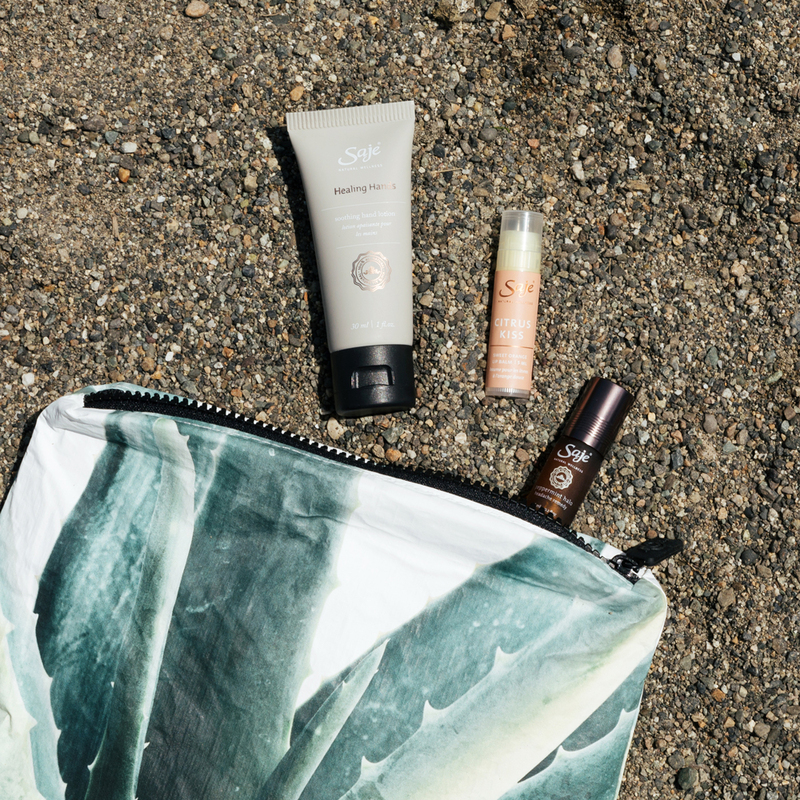 Ease headaches, soothe your hands and soften your lips with these natural blends curated in a limited edition splash-proof bag designed in collaboration with ALOHA Collection. Includes Peppermint Halo® Remedy (6 ml), Healing Hands Lotion (30 ml) and Citrus Kiss Lip Balm (5 ml). Apply lip balm as often as desired to help relieve dry or chapped lips. For external use only.